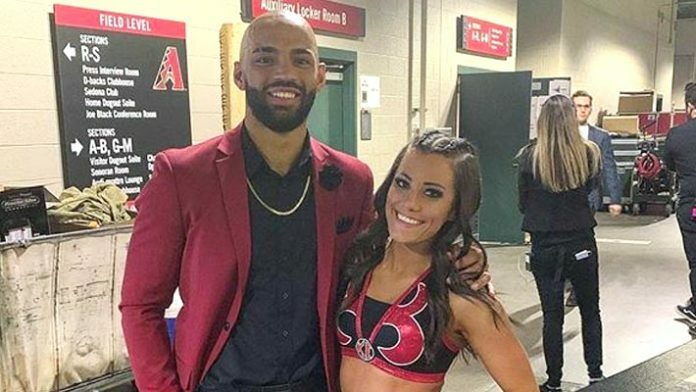 In a discussion on Lilian Garcia's podcast, Ricochet opened up about his relationship with NXT star, Kacy Catanzaro. Ricochet has been tearing it up on the main roster ever since moving from the ranks of NXT. Despite this, he has been working extensively. He has appeared on not only RAW and SmackDown, but also NXT shows and their subsequent TakeOver events. Speaking with Lilian Garcia on her podcast, Chasing Glory, Ricochet reminisced on his time with the yellow-and-gold brand. He discussed meeting Catanzaro, and how their relationship began. “My family, even before me and her knew each other they watched America Ninja Warrior for years now so they knew all about her and were really excited to meet her,” Ricochet said. Kacy Catanzaro made her PPV debut during January’s Royal Rumble event. She would enter the Women’s Royal Rumble matchup at number 19, before being eliminated by NXT UK’s Rhea Ripley.